Bakewise Academy is a college that offers baking courses. We are located in Muar, Johor, Malaysia. 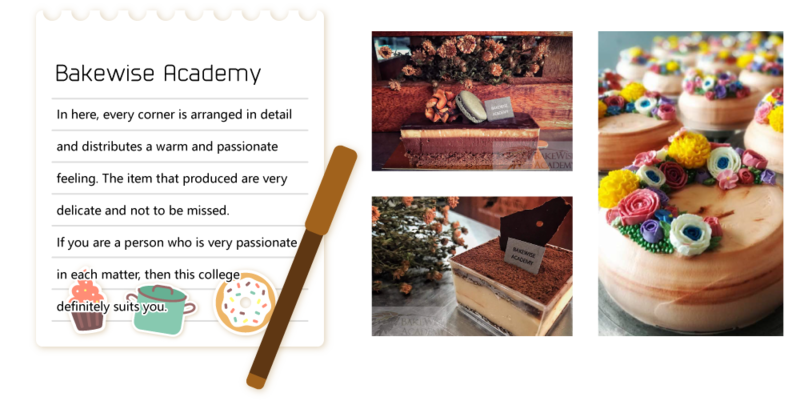 Bakewise Academy was founded in year 2012. Our goal is to provide students with the best baking courses. If you have any questions about our course, please feel free to contact us. We will be glad to answer it.